Throughout history the empowerment of women has been linked to their education, which brings benefits not only to the women's own lives but to the lives of their children too. In developing countries, research shows a strong link between the education of mothers and immunisation of children against preventable diseases such as polio, diphtheria, tetanus, whooping cough, measles and tuberculosis. Estimates suggest that a quarter of deaths of children under the age of five could be prevented by vaccines available today. In Sub-Saharan Africa, deaths of under-fives remain high. A recent analysis of immunisation in Nigeria found that only 6% of children of illiterate mothers received all the vaccinations compared with 24% of children in the whole population. The picture in lower-income countries across the world is similar. A study in India found that with each higher level of a mother's education, children were more likely to be completely immunised. The largest increases, however, were found for mothers with any primary or upper primary education, compared to mothers with no education. Research in developing countries also points out that other factors play a part: mothers who are better educated are better off and live in more affluent areas where healthcare, including child immunisation, is more available. 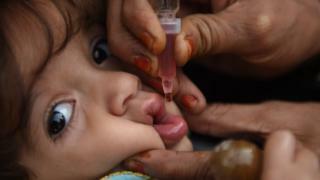 But even when adjustments are made for household wealth and the average community education, a Unesco report from 2015 says that giving all women in lower-income countries at least secondary education would mean more than four in 10 children who currently get no immunisation against diphtheria, tetanus and whooping cough would be much more likely to receive it. There is evidence that the relationship between education and immunisation in developed countries reverses. A US study using data from 2003 on 11,860 children across the country found that the mothers with less than 12 years of education were more likely to complete their children's immunisation than the mothers with college degrees. The researchers were not sure why this was the case but quoted factors such as positive cultural attitudes towards the needs of young children among Hispanics who, in general, receive less formal education than other ethnic groups in the US. Also the availability of information to low-income mothers who access government-subsidised healthcare programmes might have been a factor. A large global survey of vaccine confidence, led by the London School of Hygiene & Tropical Medicine in 2016, found that developed countries with very high levels of education of women, in particular in Europe, had lower rates of a positive attitude towards vaccination. That's due, at least in part, to educated parents being more self-confident in challenging authority, including that of their healthcare providers, based on their own research. Also, they are are much less likely to experience at first hand children dying from preventable diseases. A resurgence of measles in several European countries this year is, at least in part, due to some parents refusing the combined measles, mumps and rubella (MMR) vaccine on the basis of a widely discredited study that linked the vaccine to autism and Crohn's disease. In France, the negative attitude to Hepatitis B and HPV vaccine may come as a result of controversies over suspected side effects. Critics blame both vaccines for many ills, including autoimmune diseases such as multiple sclerosis, based on anecdotal cases. And in Italy, the leader of the anti-establishment Five Star Movement has in the past expressed doubts over vaccinations. The effort to convince educated parents who are sceptical about vaccinations to immunise their children is proving to be a much bigger job than might be expected. Researchers at the University of Edinburgh found that public health campaigns in the UK exposing the myth that child vaccinations cause autism backfired by making parents more likely to believe the debunked conspiracy theory.